JLT University | Junior League of Tucson, Inc.
JLT University is a series of themed trainings offered to both members and the public hosted by the Junior League of Tucson, Inc. to develop volunteers both personally and professionally. Trainings are generally offered on a Saturday in the Fall and Spring. Previous workshops have included topics on leadership skills, inspiring personal stories, advocacy, fashion advice, fundraising, grant writing, among others. 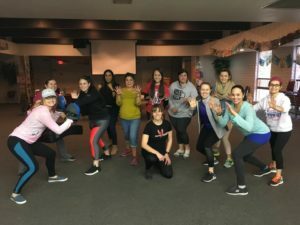 Spring 2019 Theme is A Healthy You! We will start with one of our own Cynthia teaching us a yoga class to get our mind and our body working as one! Then, Rising Phoenix Fitness and Self Defense will show us some self defense moves to help us prepare for if ever put in a situation. Finally, we will finish with a training on the adoption process and what you need to be aware of! To learn more email admin@jltucson.org .